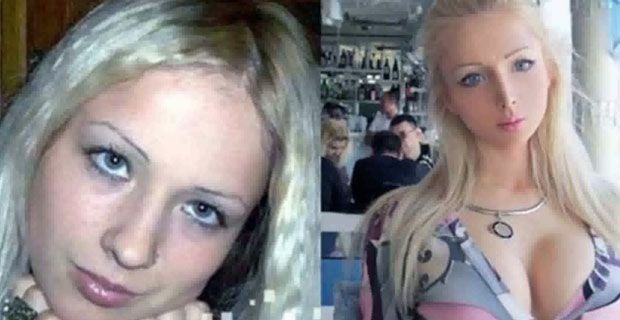 Valeria Lukyanova, the 21-year old Ukranian-Moldovian model, whose life long mission was to look like a Barbie doll was discovered on the internet in 2012. 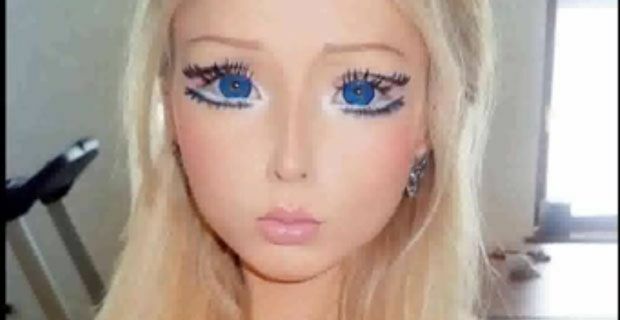 The human Barbie Valeria Lukyanova moves and looks like the most popular doll of all time. We tell you how she managed to imitate Barbie and her reasons for doing this. She is 1.70 m or 5 feet 7 inches and weighs 42 kgs. Valeria is blonde and has green eyes. To simulate the Barbie look she uses contact lenses, had plastic surgery to augment her breasts and is a vegan on a strict liquid diet. She also goes to the gym daily. Valeria denies removing her ribcage to reduce her silhouette as well as having additional surgeries to enhance her body making it look like a Barbie doll. In the latest interview done by GQ, Valeria explained her motivation for the transformation explaining why her image is the type women all over the world are emulating. According to her, everyone wants to look thin and fix what is not right. She is also converting to 'breatharianism' trying to live off air and light.